Here's just a small sampling of the our projects that give back to our community. 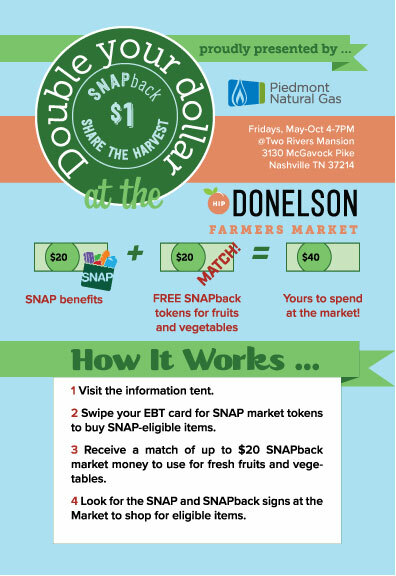 SNAP customers can double the SNAP dollars, up to $20 each week, at the Hip Donelson Farmers Market. 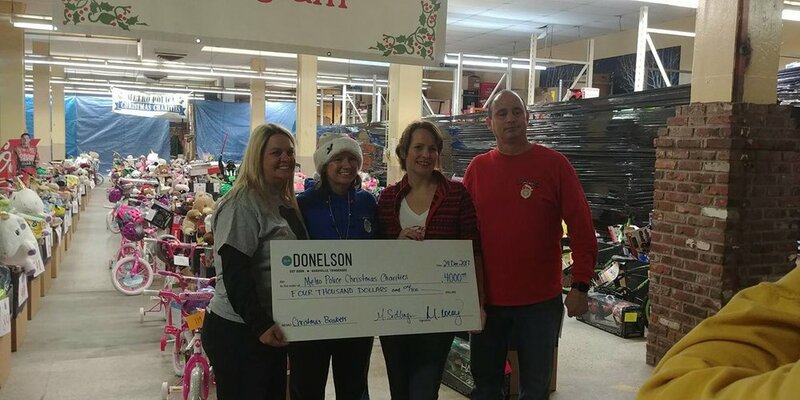 Hip Donelson has been able to donate over $19,000 over the past 5 years to help provide food basket and gifts to families in need during the holidays. Hip Donelson is happy to be a 3x sponsor of the annual Donelson-Hermitage Chamber Christmas Parade.